Drink is included in buffet pricing. Call the restaurant for Senior and Kids pricing. All prices listed are before tax and subject to change without notice. 5pm-7:30pmFreeOne child 8 & under per paying adult. Prepare for your next legendary experience! 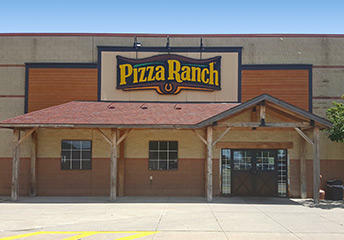 At Pizza Ranch your whole family will enjoy endless buffet of specialty pizzas, mouthwatering chicken, and fresh sides. And don’t forget about our famous Cactus Bread®! If you’d rather stay put, let us deliver flavorful fixin’s right to your doorstep. We cater and offer a community room that seats up to 60 guests—perfect for your next party, reunion, or get-together! Right in the center of Downtown, we’re located on Oak and Broadway across from the American Legion and just minutes from the zoo, the golf course, and many parks! Ask about fundraising with our Community Impact events. The food and service were excellent. 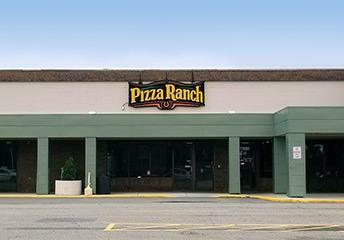 We eat at many Pizza Ranch places. Always clean and great service. Great selection of fresh food at the buffet. Friendly employees. Every thing was good but I do miss the tv even if it was toy story playing. I am generally by myself and tv or newspaper is nice. We had to wait 1/2 hr for our chicken as there were two pieces left that we don’t eat. The person in chg said she couldn’t do anything about it as it takes so long for a new batch. Well it was noon and u should be ahead of the curve instead of behind the curve. We have eaten there many times and when the boss is around no issues. I did not see the boss so I am wondering??? Great service by staff at the counter and in the dining room. 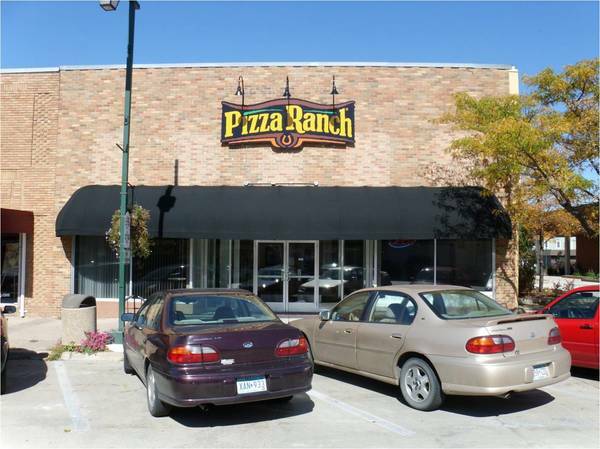 We had great service at Pizza ranch they kept are table clear of plates. They were very polite.